Microsoft is scaling down its mobile phone activities, writing off the entire value of the former Nokia smartphone business it bought last year and laying off almost one-third of that business’ staff. The company will no longer try to build a standalone phone business, but instead plans to build a Windows ecosystem that includes its own devices, CEO Satya Nadella told staff in an email announcing the changes. Up to 7,800 jobs will be cut, most of them in the phone business. 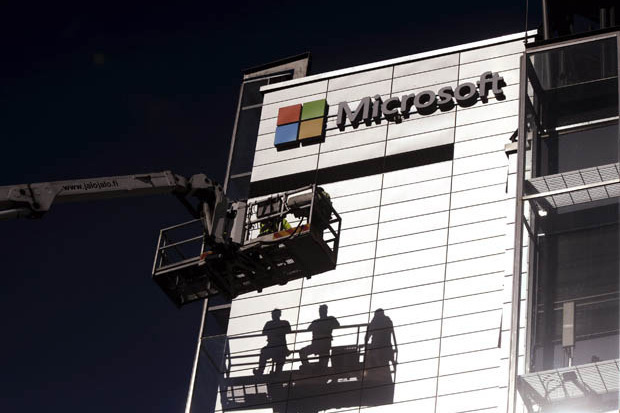 The cuts come in addition to 18,000 layoffs announced last year: Those cuts included around half of the 25,000 staff who joined Microsoft from Nokia. Microsoft also announced plans to write down the value of its Nokia acquisition, recording an impairment charge of US$7.6 billion. It bought the Finnish company’s devices and services business only last year for $7.2 billion. The company explained the write-down by saying that it’s restructuring of the phone business meant that its future prospects were below original expectations. Its Lumia phones are languishing with a single-digit market share, and the company has produced no break-out successes to rival flagship phones from Samsung Electronics or Apple. The layoffs should happen by year end, Microsoft said, adding that it would provide more information about the impairment charge in its fourth-quarter earnings announcement on July 21. Will brainwaves control tomorrow’s computers? Every human-computer interface is really a brain-computer interface; it’s just a matter of degree. Our intentions may be sent from our brain to the computer through our fingers and a keyboard, through a camera that tracks eye movement, or from sensors that read signals from the surface of the scalp or from individual neurons. It’s a continuum. However, when we talk about “brain-computer interfaces” (BCIs) today, we are talking about capturing signals directly from the brain and using them to control an electronic device. This can be done in a few ways, such as through electroencephalography (EEG) sensors that record electrical impulses from the brain, or functional near-infrared spectroscopy (fNIR), which uses light to monitor blood flow in the brain. Though sensors can also be implanted, these less invasive technologies will work if the sensors are worn on headsets that keep them in contact with the scalp. These technologies are not mind readers just yet, but they can be trained to recognize patterns in controlled scenarios. We’re very far away from me putting an EEG cap on your head, and while you think “red car”, I am able to know that you are thinking about this red car. What we are able to do now, for example, is train the system to recognize a choice of four icons or to know that you’re thinking “red car” versus “playing tennis”. Thus, a patient with locked-in syndrome might train a BCI to distinguish between two thoughts, such as “playing tennis” versus “walking down the street”, and these could become their “yes” and “no” signals. To an extent, it doesn’t matter what the two thoughts are. We can’t say which neuron in the brain fires when you think about playing tennis, but we can train a BCI to distinguish between that electrical pattern and another pattern. Just as everyone walks in much the same way, but with differences in gait, pace and so on, so we use the same types of brainwaves for the same kinds of mental activities though there will still be differences between individuals. As BCIs have advanced we have built up a “library” of signals, so that we can create devices that have the ability to track three, four, or five patterns. We already have robust technology tools that enable us to obtain clean signals from the brain. It used to be necessary to wear 128 or even 256 leads on your head to get any useful information. Now we can get meaningful data with 16, eight, or even four leads, depending on the task and the signal of interest. Now the magic will be in the software and what it can do with those signals. In time we will be able to use these devices seamlessly for tasks such as controlling the cursor on a computer screen or interacting, hands-free, with mobile phones. One of the projects that we’re currently working on with the U.S. Navy is how to use both BCIs and physiological sensing to optimize individual and team training. For example, to make training as effective as possible, you could have a BCI that monitors whether you are paying attention properly. If your attention wanders, the computer could alert you or ask you to explain the material that was just covered. It would be part of an intelligent tutor that paces the learning and content to match your focus and attention. BCIs could also be used to monitor employees in high-stress environments, such as air traffic controllers, or to identify post-traumatic stress disorder in military personnel or concussion in players of contact sports. Given the advances in BCIs, it seems crazy that every time you visit the doctor your blood pressure, temperature, height and weight are checked, but not your brain vital signs. You don’t need a sophisticated BCI to track brain health, even things such as reaction time tests can be a good indicator of your brain’s processing speed. EEGs are now just passive monitoring, but it’s easy to imagine a future where energy can be directed into the brain. Last year, scientists at MIT used light to activate cells in genetically modified mice to implant a false memory into their brains. We’re a long way from being able to do that with human beings, but we could see an extension of EEG technology to determine when your brain was in a state where it was most receptive to learning. One profound application for BCIs will be awareness of other people’s emotions and brain states. Scientists at Princeton University have looked at speaker-listener pairs with both EEG and brain imaging and have shown that when two people are communicating, speaking and understanding each other, their brains are literally on the same wavelength. Not only that, the listener’s brain wave patterns start to precede the speaker’s brain wave patterns. You start to actually anticipate the other person’s brain waves. That type of data will have a profound impact on the way people interact. Imagine going into every meeting knowing exactly who’s paying attention to you, who’s on the same wavelength as you, literally. Imagine having that kind of information. It will change every single dynamic that you encounter. To learn more about new technology trends sign up for the Global Information Technology Outlook module. Also discover other modules on various topics on Forum Academy, the online professional leadership development platform of the World Economic Forum. A highlight of the United Nations’ Earth Day celebration in New York City is the ringing of the Peace Bell, a gift from Japan, at the exact moment of the vernal equinox. 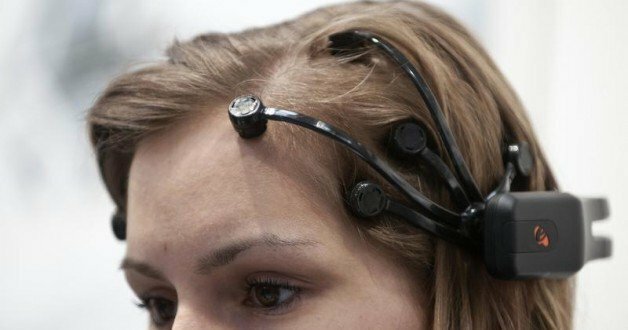 Neuromorphic technology is one of 10 emerging technologies for 2015 highlighted by the World Economic Forum’s Meta-Council on Emerging Technologies. Even today’s best supercomputers cannot rival the sophistication of the human brain. Computers are linear, moving data back and forth between memory chips and a central processor over a high-speed backbone. The brain, on the other hand, is fully interconnected, with logic and memory intimately cross-linked at billions of times the density and diversity of that found in a modern computer. Neuromorphic chips aim to process information in a fundamentally different way from traditional hardware, mimicking the brain’s architecture to deliver a huge increase in a computer’s thinking and responding power. Miniaturization has delivered massive increases in conventional computing power over the years, but the bottleneck of shifting data constantly between stored memory and central processors uses large amounts of energy and creates unwanted heat, limiting further improvements. In contrast, neuromorphic chips can be more energy efficient and powerful, combining data-storage and data-processing components into the same interconnected modules. In this sense, the system copies the networked neurons that, in their billions, make up the human brain. Neuromorphic technology will be the next stage in powerful computing, enabling vastly more rapid processing of data and a better capacity for machine learning. IBM’s million-neuron TrueNorth chip, revealed in prototype in August 2014, has a power efficiency for certain tasks that is hundreds of times superior to a conventional CPU (Central Processing Unit), and more comparable for the first time to the human cortex. With vastly more compute power available for far less energy and volume, neuromorphic chips should allow more intelligent small-scale machines to drive the next stage in miniaturization and artificial intelligence. Potential applications include: drones better able to process and respond to visual cues, much more powerful and intelligent cameras and smartphones, and data-crunching on a scale that may help unlock the secrets of financial markets or climate forecasting. Computers will be able to anticipate and learn, rather than merely respond in pre-programmed ways. Rotten Wi-Fi, a testing service that evaluates public Wi-Fi networks based on speed and customer satisfaction, says it has found the 20 countries in the world that offer the best public Wi-Fi experience. The company says its user base has measured and evaluated the quality of public Wi-Fi hotspots in 172 countries around the world. It’s unclear exactly how accurate the data is, however, because it has been gathered by various people around the world at different times. Surprisingly enough, countries like South Korea, China, and Japan haven’t made the list, even though other studies have rated those countries as having super-fast internet speeds. Here’s a look at Rotten Wi-Fi’s findings. It seems Lithuania dominated the competition when it comes to the average download and upload speeds found on public Wi-Fi networks. See interactive version of chart here.